Kim Daniels didn’t have to pay a penny for her double mastectomy or the reconstructive surgery she had after treatment for breast cancer in June 2018. Her health insurance, PennCare, administered through Independence Blue Cross in Pennsylvania, fully covered both procedures. Knowing that, cost wasn’t an issue for Daniels when selecting the type of breast implants. She asked her plastic surgeon at the Hospital of the University of Pennsylvania, “If I were your wife, what would you [choose]?” He went with Mentor MemoryGel implants. According to Daniels’ hospital bill, those implants came with a price tag of $3,500 apiece, or $7,000 total. Such a high charge for the exact same item would have been unthinkable if the procedure was cosmetic breast augmentation, which is generally not covered by health insurance. 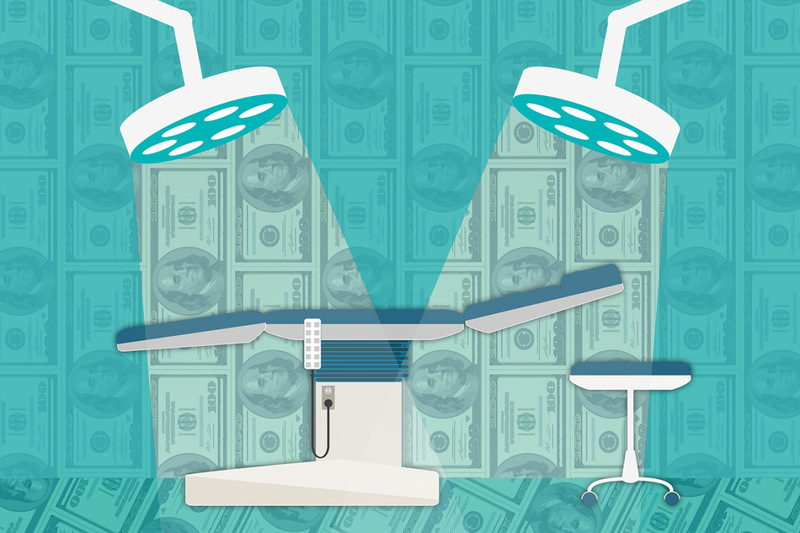 When patients pick up the tab, cosmetic surgery packages for breast augmentation cost about the same — $7,000 — but that includes the doctor’s fee, implants, operating room time and anesthesia. Dr. Anupam Jena, a health economist at Harvard Medical School, said it’s precisely because cosmetic patients pay out-of-pocket that their costs for implants are far lower than what hospitals charge reconstructive patients. Dr. Alex Sobel, a cosmetic surgeon and president of the American Board of Cosmetic Surgery, said the price he charges cosmetic patients for breast implants is pretty close to the price he pays for the implants from the manufacturer. High-end implants like Daniels’ would be priced at a maximum of $3,000 for a set, he added, if Daniels had been undergoing cosmetic breast augmentation surgery. Sobel operates a cosmetic surgery practice in Bellevue, Wash., which is in the region of the U.S. with the highest cost range for cosmetic breast surgeries. He said he usually pays around $250 to $700 per implant for saline and $700 to $1,000 per implant for silicone. The most expensive form — stable silicone or “gummy bear” implants — are usually priced around $1,350 each. For the entire cosmetic breast augmentation procedure with silicone implants Rosen charges $6,500. That’s $500 less than the charge for just Daniels’ silicone implants at the nearby Hospital of the University of Pennsylvania. “Why does Apple charge $1,000 for an iPhone? It doesn’t cost that much to make an iPhone. It’s so they can extract surplus money. Same goes for hospitals,” said Jena. It is hard to define a reasonable manufacturing cost or wholesale price for a medical-grade bag of silicone. Mentor Worldwide and Allergan, the two biggest manufacturers of breast implants in the U.S., declined to share their products’ wholesale costs or their price negotiation practices with providers. Manufacturers regard their pricing as a trade secret. A Penn Medicine spokesperson told KHN in an email that they were unable to comment on specific patient cases, but that the hospital receives a single “case rate” or bundled payment for all breast reconstruction surgeries and that reimbursement is not related to the type of breast implant chosen. Of course, when dealing with powerful insurance companies, hospitals don’t get paid the full asking price conveyed on their bills. The price is often merely the starting point for negotiations with insurers. “Hospitals are absolutely marking up the prices for medical devices,” said Jeffrey McCullough, a health policy professor at the University of Michigan. But, he added, “you can almost guarantee the list price you see on a hospital bill is not what the hospital is getting paid by insurance companies,” which bargain for discounts. Even so, not all patients have health insurance coverage as comprehensive as Kim Daniels’. In such cases, all or part of the hospital’s high charge for breast implants could be billed directly to patients. “If you don’t have an insurance company bargaining on your behalf, the default is to charge the patient,” McCullough said.